So sad to hear about Nora Ephron‘s passing. I really enjoyed her writing, some of her movies, and mostly just her. We were good friends- you know, in my imaginary world. I think the connection began with Heartburn, which I read while living in California. That story came into my life at just the right time. Ephron reminded me to try my best to be clever and stylish, even when I feel like a doof. Her New Yorkiness jumped through the page, and the way she wove culinary savvy into her work was dreamy and pragmatic. 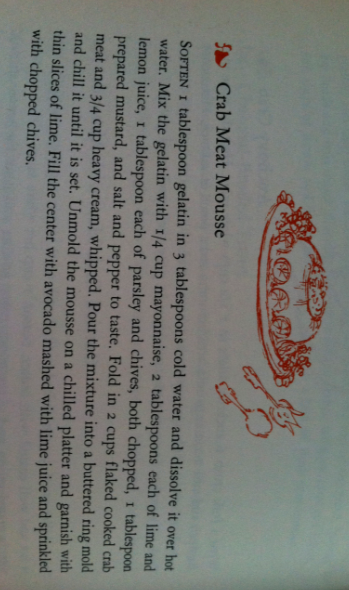 To send one of the most lovable gourmands of our time on her merry way, here is a bit from a book of compiled Gourmet recipes that my friend, Maggie, came across a few years ago at a Salvation Army. I was trying to slim down my book collection at the time, but she insisted that I needed it. 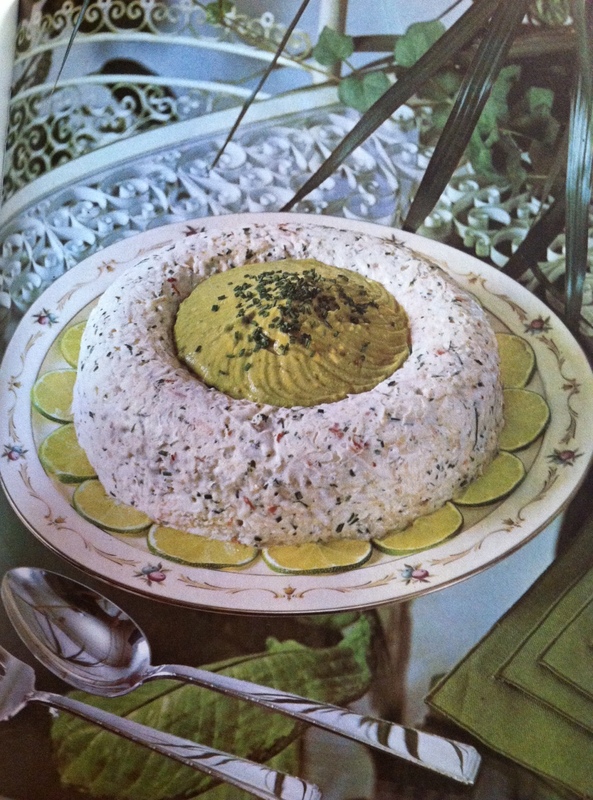 Even though I hardly ever (let’s be honest, never ever) cook from it, I love the pictures and smile every time I see its green binding, so she was right. Jeremy & common sense & wine & health care. Really? There should be less (no) room for cockiness in wine. San Fran is for Beaujolais lovers. Check in with James the Wine Guy. A little conterfeit coverage from Dr. Vino. Death threats? D-d-d-dangerous. Give a listen to some enlightening interviews. Maybe Mother Nature wasn’t psyched about this year’s Côtes des Bar Champagne crop anyway. Stay tuned for some awesome-looking wine-dye tips from Whitney. Levi is just killin’ it on his blog, Too many great posts to pick just one- check it! Empty butter containers help Lennon & Maisy along with this beautiful cover. ← I am Me, and You are You.